Surrey Cannabis Club invite you to attend a peaceful gathering to protest the current unjust laws that criminalise people for choosing cannabis over more harmful (yet legally available) drugs like alcohol, tobacco and pharmaceutical drugs. Surrey residents will have an opportunity to unite and have their voices heard, to stand up for their rights to medicate safely and consume responsibly using cannabis. 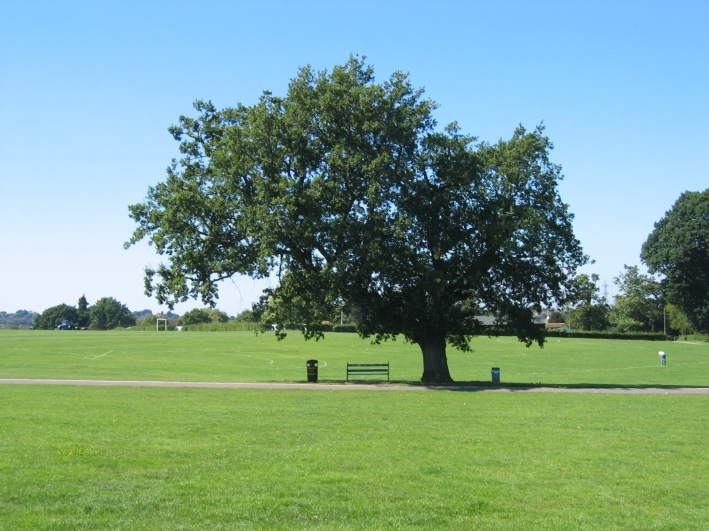 On the 14th of September 2013 the Surrey Cannabis Club will be holding a smoke-up picnic protest at Stoke Park, Guildford, Surrey from 1pm. 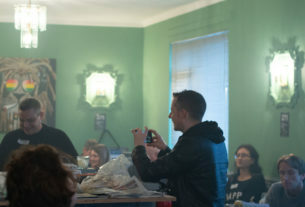 Yet another official United Kingdom Cannabis Social Club will hold a protest this year in a bid to create even more media attention, public awareness and support for the end of cannabis prohibition and criminalisation of a plant with thousands of beneficial uses from medicine to textiles, paper, fuel, super food and even various building materials, to name just a few. 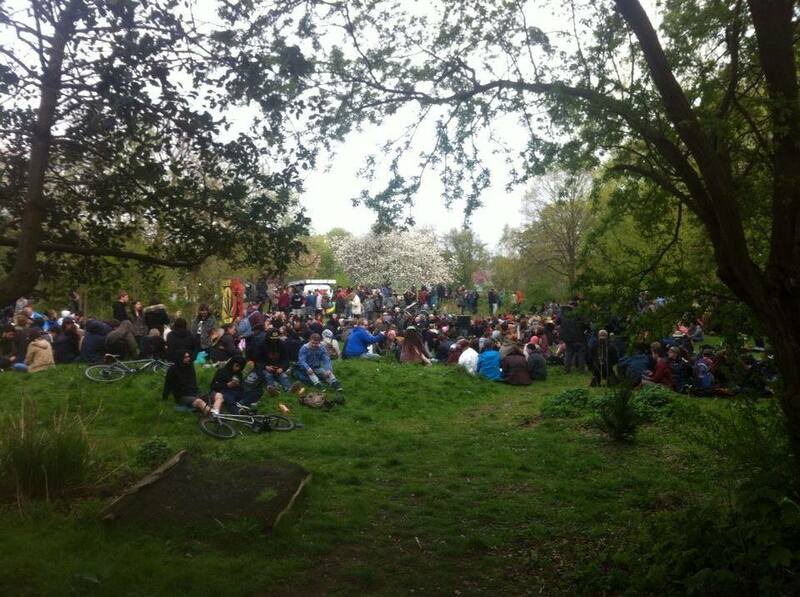 Recently there have been some very successful smoke-ups and picnic protests in London (4.20 in Hyde Park), Reading, Exeter, Southampton and so far others planned for Birmingham Cannabis Club on Cannon Hill Park, 31st of August followed swiftly by East Anglia Cannabis Club in Norwich on the 1st of September at Chapelfield Gardens, Berkshire Cannabis Community at King’s Meadow in Reading, 7th September and Hampshire Cannabis Club in Eastrop Park, Basingstoke on the 21st September. See the UKCSC events page here. All of the previous events have received media interest from the local papers, some from local radio and TV with the Reading event being covered by the regional BBC networks also. We aim to keep this going with Surrey Cannabis Club, looking to involve all the local, regional and possibly even national media. 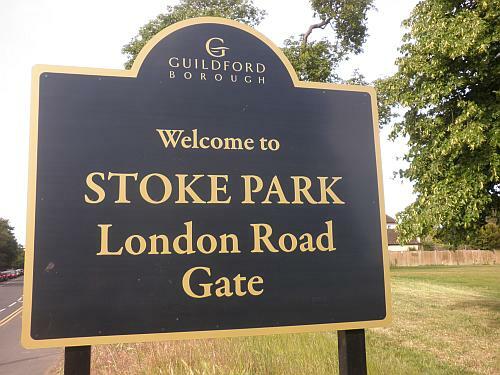 Surrey is arguably the most affluent and possibly the most conservative county in the UK and Guildford is at the heart of it so we really do have our work cut out, even just getting this topic out in the open for some honest discussion will prove to be a challenge in some cases. However this will be the perfect opportunity to really connect with the public, the media and other cannabis advocates to share ideas, thoughts, opinions and generate some insightful discussions with the aim of educating and increasing public awareness so that a genuine and honest debate about this topic can begin in open and public forums. With that said we also want members of the public and club members to enjoy themselves and have some fun whilst they interact and engage with each other so there will be some chilled out ‘choons’ coming from Mr Mook’s magic Mookbox, some free merchandising and prizes, informative leaflets and guest speakers (TBC). Al from the Surrey Cannabis Club had this to say about the upcoming event, “We really just want to connect with the mainstream public and media and show that cannabis users can be, and are, responsible individuals. 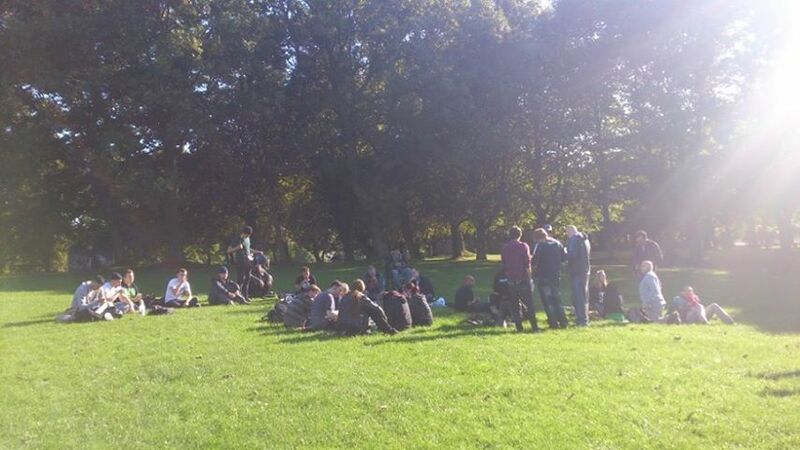 One of the aims of this picnic is to provide an open forum which anyone can attend to discuss any of the issues surrounding cannabis, both positive and negative. We want to actively encourage non-consumers of cannabis to attend this event so they can inform themselves of the issues, ask questions and interact with members of the pro-cannabis movement. Another key aim is to raise general awareness of the harm that prohibition really causes, how it affects every member of society and the astronomical cost to the taxpayer, not to mention that if cannabis were legalised and regulated the financial benefits could potentially help solve the UK economic crisis, at least to a significant degree. 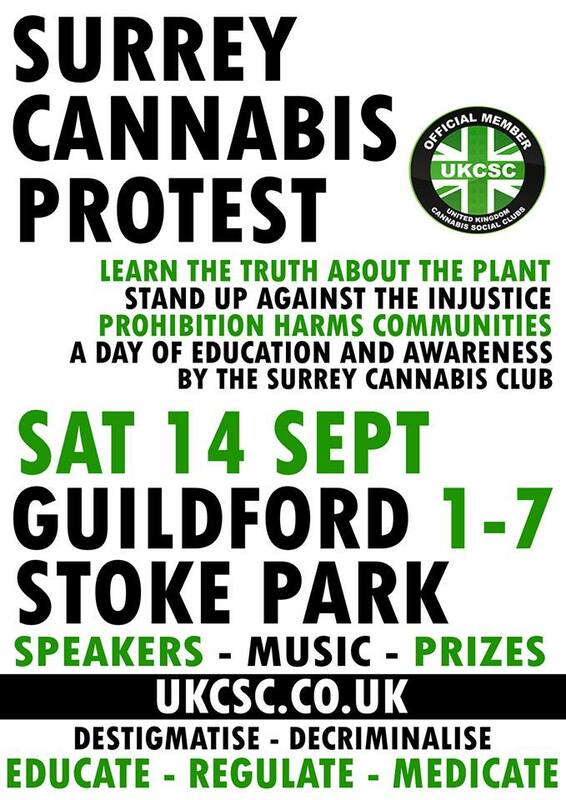 Please ask everyone you know to come and join the Surrey Cannabis Club for their first official event, ‘Straight Outta Surrey’ smoke up and protest picnic, September 14th, Stoke Park, Guildford, Surrey, from 1pm.